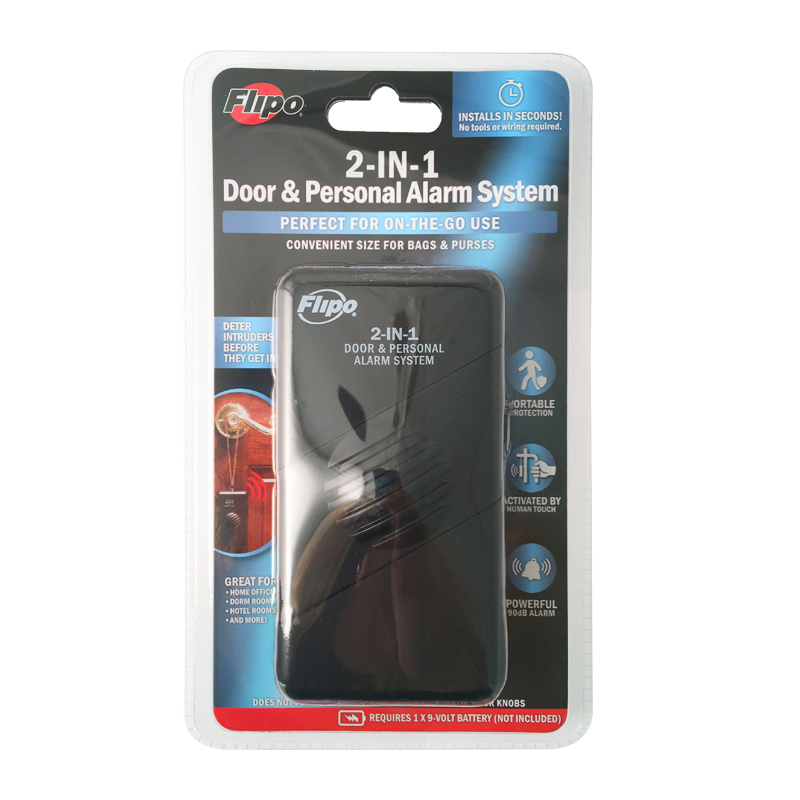 Packing a powerful punch in a compact size, the Flipo 2-in-1 Door & Personal Alarm System emits an ear-piercing sound for portable protection. 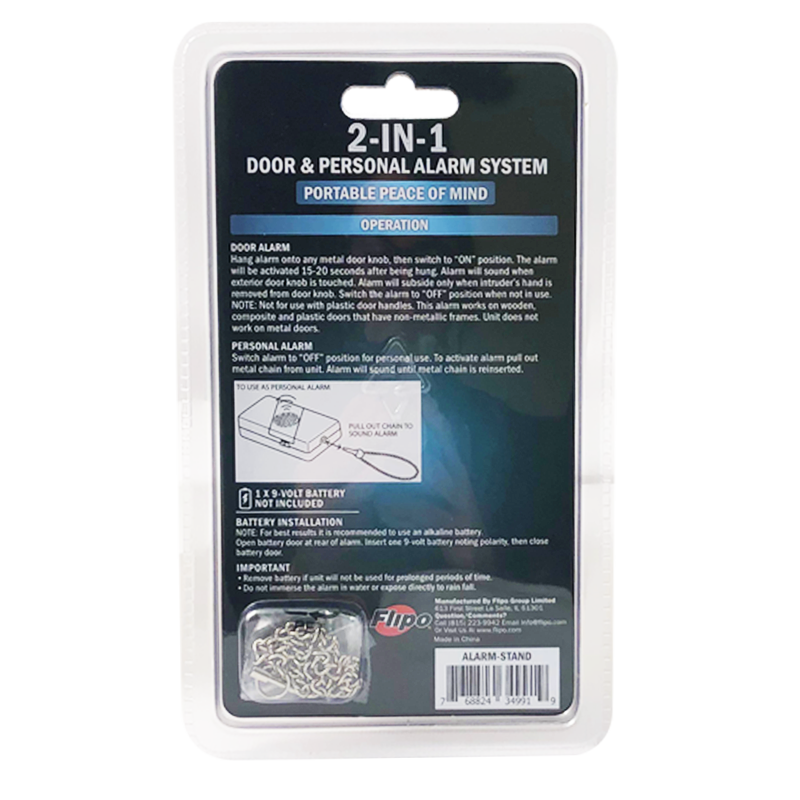 This is a dual-purpose alarm; acting as a door alarm or portable personal alarm. 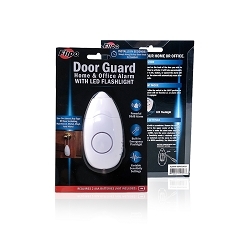 To use as a door alarm hang device onto any non-metallic doors doorknob, then switch to “ON” position. The alarm will be activated 15-20 seconds after being hung. Once activated the alarm will automatically sound whenever the exterior doorknob is in contact with human touch. 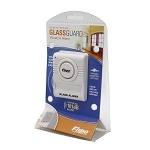 Or, carry the alarm with you for portable protection as a personal alarm. To use as a personal alarm, switch the alarm to the “OFF” position. 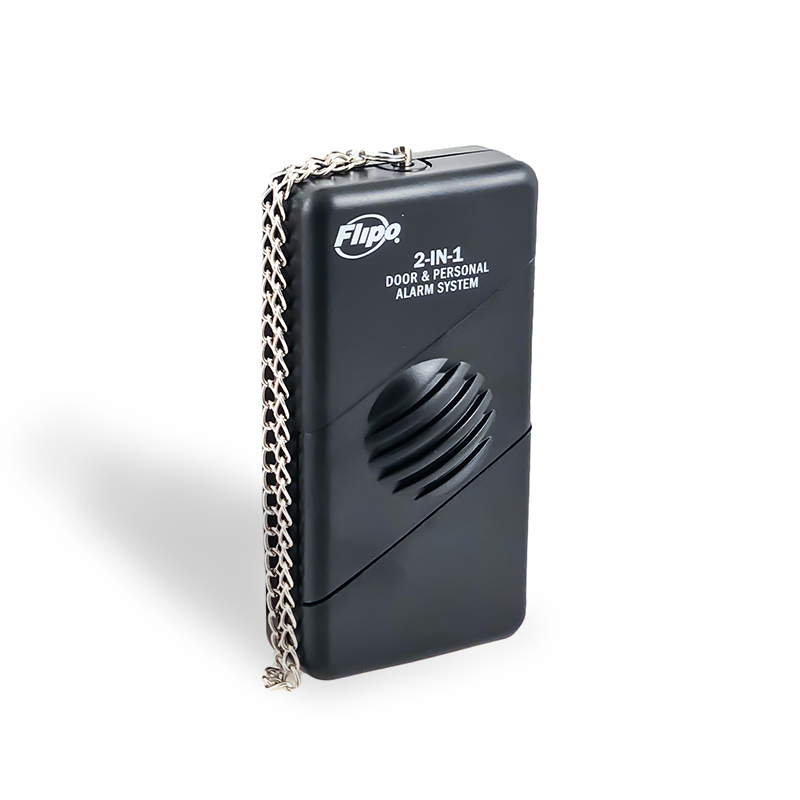 Activate the ear-piercing alarm sound by pulling out the metal chain from the alarm unit. The alarm will sound until the metal chain is reinserted. Each alarm requires one 9-volt alkaline battery (not included). Dual door and personal alarm. When used as a door alarm, alarm only sounds with human touch. No false alarms. Alarm works on wooden, composite and plastic doors that have non-metallic frames. Unit does not work on metal doors. Requires 1X9-volt battery (not included). Alarm chain length is approximately 5.25".